The board meeting started at 7 AM and things were going smooth. Jim Noll was elected as the new President and Ned as CEO and Chairman of the Board. New stockholders were elected and performance of the labs and office were discussed. But before all the offices were finished an announcement over the PA system announced a fire and to wait for further instructions. Since there was no urgency in the message, the meeting continued and lunch was brought in around 11:30 AM. Shortly after, somebody walked into the room and said we had to leave right away, the hotel was on fire! Our group filed into the adjacent New York New York parking lot and that’s when you could spot it. A fire in the Penthouse was exhausting flames from the windows. 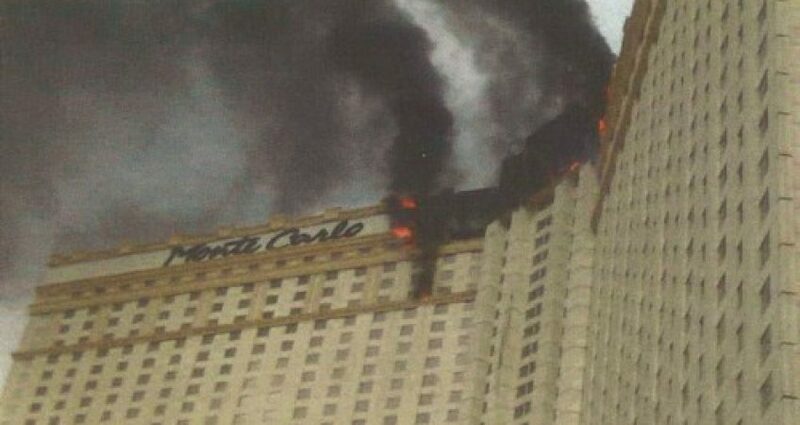 MGM Grand, the owner of Monte Carlo, made arrangements for transportation, food, clothing, cell phone chargers, as well as accommodations at other hotels. The K+A group decided on the Bellagio and were able to go back to the Monte Carlo the same night to retrieve their belongings. With all the chaos surrounding the day, the Meeting was finished the following week in Denver but K+A’s is cemented in a part of history that is the Monte Carlo fire.